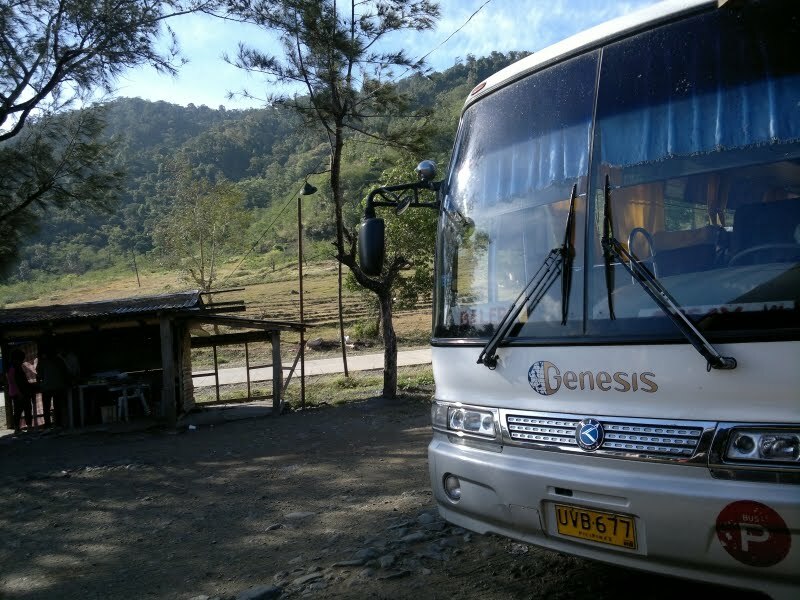 Genesis Transport is currently the only bus company that serves the Manila-Baler route. It is a 6-7 hour trip with two short stops in Nueva Ecija. Genesis has two type of buses, the Joy Bus, a 2x1 seater deluxe bus, and the regular 2x2 seater air-conditioned bus. For a more comfortable ride, we highly recommend the Joy Bus as it has reclining seats and spacious leg room. If you are planning to take the first trip, make sure to be at the terminal at least one hour before the scheduled departure time as the first trip bus can easily get full, as early as 40 minutes before the scheduled departure time. We got the chance to take a nap while the bus plied the NLEX and SCTEX. The bus took the Tarlac Exit at the northern end of SCTEX and turned right along the Tarlac-Santa Rosa Road heading to the direction of Cabanatuan City, Nueva Ecija. The bus will make its first short 15-minute stop at the Cabanatuan Central Terminal, allowing the passengers to use the restrooms and grab some snacks. Back on the road, the bus then headed to the direction of Pantabangan, Nueva Ecija where it would ascend the Sierra Madre, a mountain range that separates the plains of Central Luzon to the coastal Province of Aurora. Though sleepy, we tried to stay awake during this ascend as it offered a unique opportunity to view the Pantabangan Lake. The lake is a man-made lake which resulted from the construction of the Pantabangan Dam, flooding the Pampanga River. We will definitely plan a future trip to the Pantabangan Lake where we heard is a good place for freshwater fishing. The bus made its second and final stop in Pantabangan, Nueva Ecija. This stop is longer in duration compared to the first stop in Cabanatuan City. There's clean toilet available for passengers (no fee). There's also a small canteen that serves home-cooked meals. We bought grilled hotdogs on stick. There's also a lady that sells tupig (a must try). 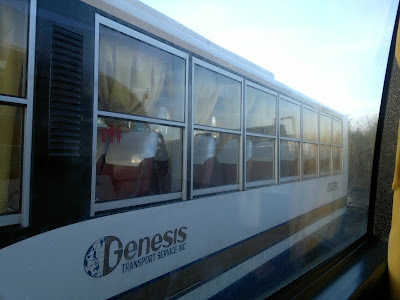 From Pantabangan, Nueva Ecija, the bus entered the municipality of Alfonso Castañeda, in the province of Nueva Vizcaya. This was the last municipality before we reached the province of Aurora. One remarkable sight in Alfonso Castañeda was the Canili-Diayo Dam. The Canili-Diayo Dam bypass road was originally constructed as a two-lane road, but access was restricted to one vehicle at a time to protect the dam from deterioration. A number of humps were also placed on the road to prevent vehicles from speeding. After Alfonso Castañeda, we were finally in the province of Aurora. 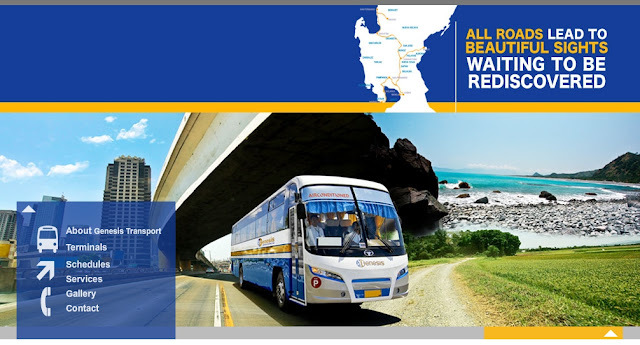 The bus passed through the municipality of Maria Aurora before reaching Baler. Tricycles were lined up at the Baler Bus Terminal to transport passengers around the town. Tricycle fare ranges between Php20.00 to Php30.00 per trip depending on your destination.